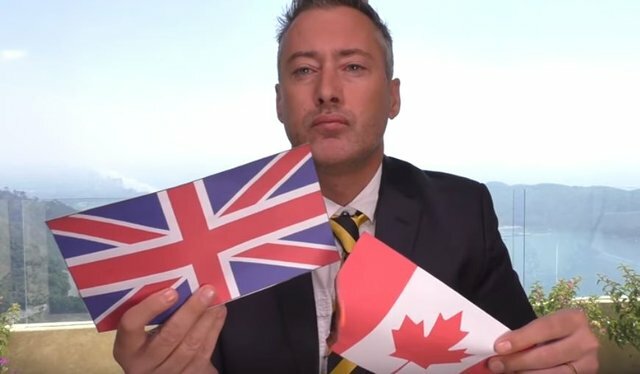 Jeff Berwick is interviewed by Josh Sigurdson for Word Alternative Media, at least until a Permit Patty chases insists they move on! Yea same here would be cool to go maybe if the price of Steem continues going up I can go next year. Oh man who are the crazy people driving in the video beeping so much. Plus looks like you can even stand on the green next to the car parking area.. gee. Immortal Technique?! Are you serious? Hands down, the coolest ‘speaker’ you’ve ever booked, ever. Love Immortal Technique, he is so knowledgable, check a class he did at london university is one of the smartests people I have heard speak. His vision is so broad and unique. Eh, have you ever seen him perform? What a treat that is! I’ve seen him twice and, both times during the show, he calls out any and everyone, even calls out other performers. About how nobody interacts with their fans anymore and etc. Yeah, Immortal Tech is a gangster. I’m a big fan, bravo @jeffberwick. wish I could find the complete one. I couldnt find the whole talk, but maybe this will be a good replacement with Joe rogan. Nice this is so great. I'll make it when I make it Jeff. Keep hosting. Yes, I should go, but I can't. I have two extra (discounted $100 off) tix to #Anarchapulco for those who want to save! If only I had the cash i'd be there! Maybe next year the universe will allow me next year! Is there actually a video @jeffberwick burning of the Mexican Flag as well? I think he did it on that video.. but if he doesn't I will. He burned a map with all the Flags..you can bearly see the mexican one. Wish I could.. but I might need to skip 2019. Fantastic! If you ever want me to come and speak - holla atcha boi! You should invite John McAfee who is currently anchored in the Bahamas and has taken a stand against the IRS. If he is unable to sail over then perhaps an interview from his boat to be shown at the event..